Tall Emu is always looking for partners to help deliver value to our clients. Whether you’re a one-man-band, a team of consultants, a web designer or an SEO consultant we have a partnership program to suit you. 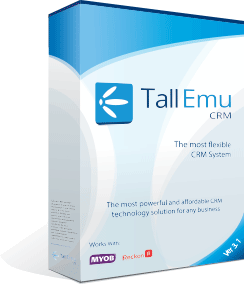 If you’d like to resell Tall Emu CRM, our reseller program is for you. We’re interested in working with self-starter professionals who have CRM or custom development experience. We can work with you at any level of engagement from a refer only through to fully authorised reseller. Not ready to become a reseller? You can earn commission simply by referring business to Tall Emu. We’ll take care of consulting, training, installation and all ongoing support. If you have a product or service that could add value to our CRM solution, and you’d like us to integrate with you then our integration partnership program is the one for you. In the first instance, please contact us for a confidential discussion about partnership opportunities for CRM.